It’s has hardly been a year since passing of Nevermore/Sanctuary singer Warrel Dane and while posthumous releases are often anything, but worthy farewells, it was hard not to be excited about hearing new music form this unique artist. When Dane suffered from the hard-attack, he was in Brazil in the middle of recording process for what is now released as Shadow Work. It’s not completely clear how much of that, which made it to this album has been recorded before, but general understanding is that most of the music from the album has been recorded after Dane’s passing, by the band that has been involved in making the album in the first place. Vocals of course are recordings of Dane during pre-production and other early racking. As such one can easily be skeptic about the result of a solo album by a late artist, nonetheless when his recordings are from pre-production. There is a reason why pre-production phase is followed by production phase. But all things aside, here we are ten years down the line with the follow up to Dane’s splendid debut, Praises to the War Machine. Album opens with “Ethereal Blessing”, which is basically an intro that gorgeously blends Danes distinctive vocals with dark middle-eastern inspired instrumentation. Things seriously kick off in form of energetic “Madame Satan”, which also served as inspiration of for the fine and fitting artwork created by Travis Smith. The sound on the album is rock solid and it draws clear parallels to the debut. “Madame Satan” draws the parallels to not only Praises to the War Machine, but also to Dane’s work with nevermore and Sanctuary. As such it should please any Dane fan. “Disconnection System” is somewhat chaotic and with a flow that could have been better. It takes some getting used to, but even then, it comes across as a sold space-filler, but never the less a space-filler. Album was reportedly supposed to be some 80 minutes long, but after the tragically event during the recording, Shadow Work ended up being only 40 minutes long and the impact of a space-filler on such a short album is that much bigger. Fortunately, things quickly pick up quality-wise in form of “As Fast As Others”. The title track is a Nevermore treat, nonetheless because of massive Jeff Loomis inspirited guitar work. Like its predecessor, the album includes a cover song as well. The masterful cover of Sister Of Mercy’s “Lucretia My Reflection” from the debut was an rare example of how to make a cover of an iconic song your own without moving away too much from the original. The approach on Cover of The Cure’s “The Hanging Garden” from the new album is quite the opposite, which works well. The song is almost unrecognizable, with even catchy chorus coming appearing far more eerie and sinister. In general, there is more progressive feel to this album and fans of Nevermore should be particularly pleased. 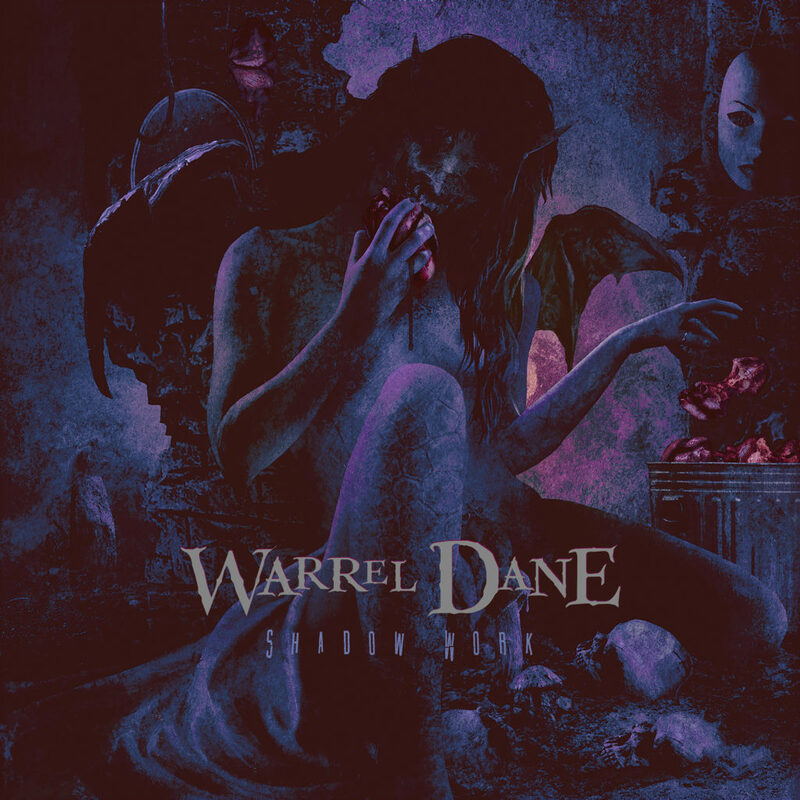 The fact is, however, that instrumentation often takes too much focus and despite band’s apparent qualities, a Warrel Dane record should have more focus on the very core of song-writing and songs that rest more on Dane’s ability to poor his soul into a performance. “Rain” is a good example of the magic that occurs when those aspects align. The epic closer “Mother is the Word for God” bears some of that gorgeous quality know from the previous release, but it loses its focus halfway through, only to gloriously finish with a fragile and emotional passage and close the album is right matter. That song sums up the album itself, in that it’s an accurate display of the strengths and weakness of Shadow Work. This is a good album and worthy swan-song for a unique artist, but it comes nowhere close to its predecessor or some of his finest work with Nevermore and Sanctuary.